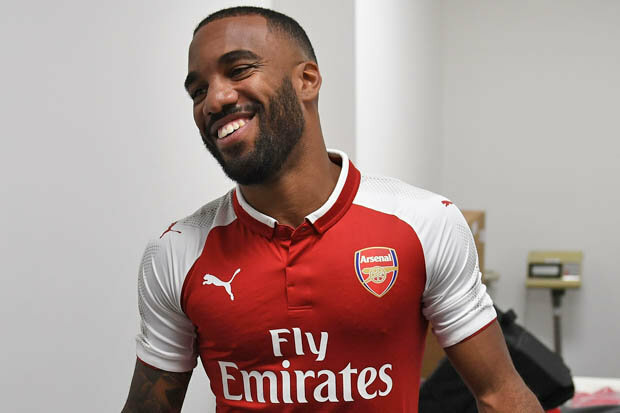 Arsenal have unveiled their latest acquisition Alexandre Lacazette after years of chasing the now former Lyon striker. The Premier League side have taken a massive show of commitment towards rebuilding the side after reaching new lows last term. Arsene Wenger is expected to tie up outstanding deals and get set for the pre-season in a time where many expect more. Wenger seems to have gotten his replacement after the exit of Robin van Persie. Since the exit of the Dutchman, Arsenal have managed other strikers but none was quite at that level. Wenger chased Luis Suarez but it ended in the Merseyside club laughing out and being embarrassed at the £40 million and £1 bid. The hunt for Gonzalo Higuain, Alvaro Morata, KarimBenzema and EdinsonCavani all ended futile. Through the wait, Lukas Podolski, Olivier Giroud, YayaSanogo, Danny Welbeck and recently Lucas Perez have played in the role that used to have marquee signings. Welbeck is the likely one that would remain past this summer to help Lacazette settle down in his new role. The Brazil national team is progressing well according to their coach Tite. He believes that the national team has put the disappointment of the last World Cup behind them and that they are playing again as a team that can win trophies. Indeed they have become the first country to qualify on the pitch for the next World Cup in Russia, and they are back at the top of the FIFA World Rankings after an absence of 7 years. There are signs that the squad is developing well and that they may become one of the favorites of the next World Cup. Tite said that he inherited a team that lacks confidence and that was humiliated from the defeat against Germany. He said that he had to work really hard to rebuild the team and build a good team spirit within the team. 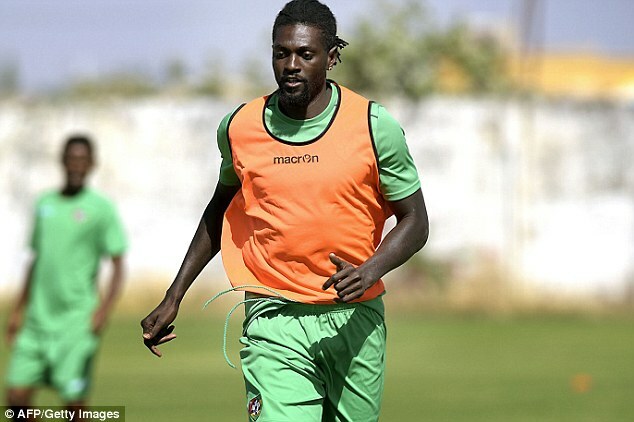 Despite his tribulations at club level, it will not stop Emmanuel Adebayor, former Crystal Palace player, from captaining Togo this month to the African Cup of Nations. Adebayor has been without a club since last year, due to an issue with his agent which saw him being suspended by FIFA – the world governing football body. The 32-year old, who has previously played for notable teams such as Arsenal, Tottenham, Manchester City and Real Madrid, amongst a few others, had posted a picture to his Snapchat. The picture was captioned: ‘Tea Time, Have a Nice Day #TeamSea’. Currently, the squad members of the Togo side are in Saly, Senegal where they are undergoing training. Later, they would be heading into Gabon for the AFCON tournament. Since 2000, Adebayor has played for the national team and has now been rewarded with the captain position. This is despite his lack of playing time this season. Some big accusations have been brought against Togo boss Claude LeRoy, but, his employer Togo association is not leaving him alone in the crisis and has stood firmly by him. LeRoy has been accused of mishandling a couple of transfer deals which he oversaw as the head of the transfer operations at a second tier club in France named Strasbourg. The matter is in court and amidst the arguments and cross arguments, the 68-year old is on the back-foot. His lawyer tried his hardest to convince the jury in the last hearing that the mishandling in the deals occurred because his client did not have the proper idea of legal system and he did not realize that he was not taking care of the legality of the deals. But, it did not seem to be a strong enough argument for the jury to tilt in the favour of LeRoy. The prosecution, on the other hand, insisted that everything was deliberate as LeRoy ensured the third parties involved in the deals got the maximum benefits. Apart from LeRoy, another man who is under the microscope is Patrick Proisy who was the chairman of Strasbourg at the time the transfers in question took place. Emmanuel Adebayor, who is the renowned striker of Crystal Palace Premier league club, has said that he would love it if he is remembered by people like Didier Drogba. The team would be playing FA Cup finals against Manchester and if it turns out to be his last match, and then he would certainly want people to remember him for his performance similar to that of Didier Drogba. This striker who plays for Montreal Impact is known mostly for his career that he made for himself at Chelsea. Drogba has scored the majority of goals and has been ahead of other foreign players. The player has won many awards for being the best footballer twice. 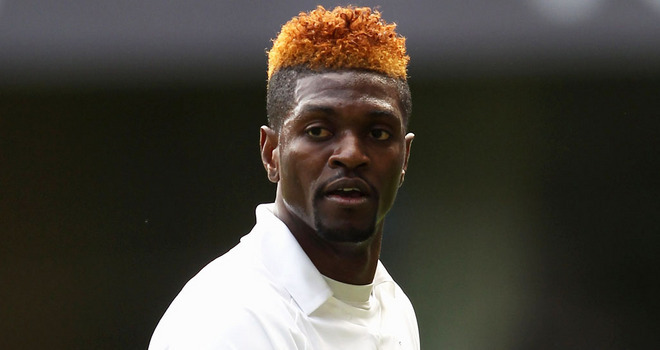 Lanky Togolese centre forward, Emmanuel Adebayor might be available for free very soon as the season comes to an end. The striker was handed a short deal with Crystal Palace but has failed to give Alan Pardew much reason to keep him around Selhurst Park, scoring just once so far. He is joined in our attack by Moussa Dembele, a player regarded as one of the brightest prospects in Europe. Fulham have seemingly given up hope of retaining his services and Spurs thought they had a deal agreed with the 19-year-old Frenchman in January only for the move to collapse. The former Manchester City and Arsenal centre forward seems not to have not done enough to secure a contract extension from the London club. The 32 year old might have to look out again after being unattached in the first half of the season after he left Spurs. He joins the host of African players that might not secure contracts going into next season. Controversial Ex-Arsenal player, Emmanuel Adebayor says he doesn’t want his former club, Arsenal Fc to win the English premier League this season. The Togolese player, who left White Hart Lane under a cloud and is still hated by Spurs fans, says he prefers Tottenham to lift the trophy. The Crystal Palace centre forward says he is rooting for the Spurs to lift the trophy especially with the consistent effort the team has put in thus far. “I am happy for them this year. With Mauricio, it was quite hard, when he first came in,” the player who was frozen out by the coach started. “We could all sense that he would be a great manager for the club because he is working hard every day. “I am not surprised with where they are. I know the qualities. Christian Eriksen is there. Harry Kane is plating some fantastic football and scoring some amazing goals, which we all knew he had in the locker. “Mousa Dembele is flying now. Dele Alli is a player with huge potential to be one of the best midfielders in the world. They have got a good squad. Roy Hodgson has a managerial contract with the English national football team which runs out 2016 after the upcoming Euro’s and this approaching tournament will be hugely influential in the future of Hodgson as it will be a deciding factor in whether or not to extend the contract of Hodgson and to allow him to continue being in charge of the English national side. The English team doesn’t necessarily have to come out on top with the victory but they do have to make some impressive performances in order to impress the head chiefs of the Football Association and these are the figures that will ultimately decide to give Hodgson an extended contract. England will be facing off with: Slovakia, Scotland, Slovenia, Lithuania and Malta in Group F for the 2018 World Cup qualifiers. The first match of these qualifiers is scheduled to take place on September of 2016. So far, things have been going incredibly well for the English national side in the 2016 Euro’s as they are located at the top of their group with 18 points collected which is the maximum amount taking into consideration that 6 matches have been played at this point in time.